This issue has been a bit of a roller coaster for Auckland Council and for the local board over the past few months. A few months ago Te Kawerau A Maki declared a Rāhui over the Waitakere Ranges. I have every respect for their rationale and for their deep abiding interest in the ongoing health of Te Wao Nui a Tiriwa, the great forest of Tiriwa. The declaration of the Rāhui was caused by concern at Council’s ongoing delay at doing something to meet this crisis that the forest is facing. The Local Board has spent a great deal of time on the issue and working out our position. Our initial position was that all tracks deemed to be high and medium risk of the further spread of the disease should be shut. This was communicated to Council at its December 2017 meeting during the slot in the agenda allowing for local board input on the agenda.. Council sort of adopted that proposal in that although the resolution talked about closing high and medium risk tracks only some were closed. We realised over summer that Council’s position was not working. A trip I took to the entrances of different walks showed many people wanting to walk on the tracks. Council’s professed support for the Rāhui was only causing confusion and the welcome signs and overflow parking areas belied an interest in keeping people away from the forest. The only way to stop the spread of Kauri disease was a simple message, that the forest is closed. Otherwise the situation was far too confusing for the population at large and the messages being put out by Council were far too mixed. Staff came to the same conclusion and in February of this year a further set of proposals were put before the Environment and Community Committee. We had the opportunity of considering the agenda item and we then reviewed the position which we reached in December 2017. Rather than close only medium and high risk tracks we decided that the park needs to be closed and only specific areas left open. We thought that there needed to be a process to determine which other tracks can be opened and when. Te Kawarau A Maki and the community should be involved in this. And proper enforcement of the closure is critical. Council decided to do this although the wording of the resolutions and in particular the phrase “areas which would reach the requirement of a controlled area notice” still made the situation not completely clear. The officers were required to consult with local communities, Te Kawerau A Maki and the Local Board as well as interested individuals and groups. The forested area of Waitakere Ranges needs to be closed and only coastal beaches, coastal walks without kauri, and service roads to be left open. This provides a clear policy direction and an unambiguous message to the public from council that the forest is closed. 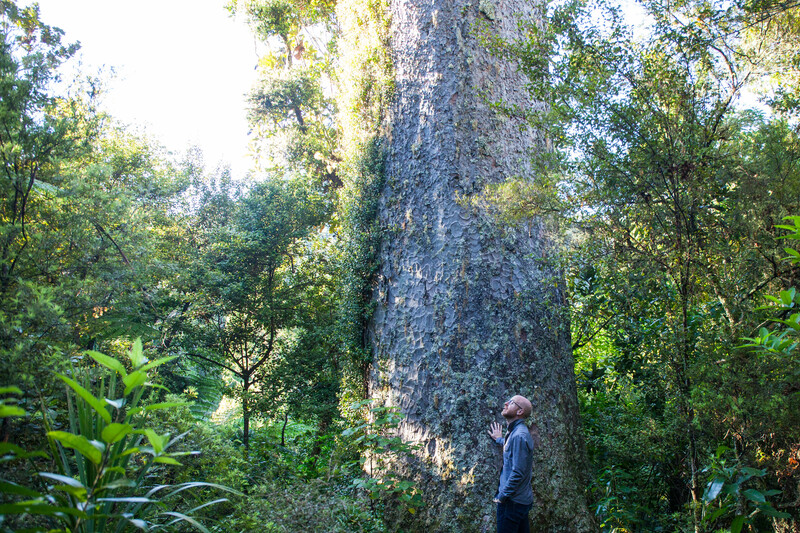 Once that has happened council needs to take a pause, review the current situation, and create a comprehensive long term plan for the future of the park to determine where public access can be provided and how to protect kauri. The formulation of an overall plan for the Waitakere Ranges needs to consider a range of factors beyond kauri dieback, including the impact on visitor management and experience and the overall environmental protection of the ranges. All other tracks should remain closed until this planning work is completed and they are determined to be safe. This includes the Kitekite Falls track. We are concerned that if a few tracks are kept open they will be inundated with visitors with the associated risk that the tracks will be degraded and ruined. This will make it harder to stop the spread of Kauri PTA. There needs to be a process to determine which tracks can be opened and when. Te Kawarau A Maki needs to be closely involved in the decision making. The community should also be involved in this process. Waitakere Ranges Local Board is seeking greater involvement in the decision making concerning kauri dieback in the Waitakere Ranges. Proper enforcement of the closure is critical. A further report has been prepared and is for consideration by the committee this week. Option A, which is recommended, is to close the forested areas of the Waitākere Ranges Regional Park, as publicly consulted on, including prioritised openings as tracks are upgraded. Under this option a total of 44 tracks would be opened, including Kitekite Falls Track. Option B is to implement a more permissive approach and in addition to the proposed exceptions to closure, also keep tracks within the coastal strip open – with rolling openings. Option C is to implement a more conservative approach and close all forested areas of the Regional Park. The tracks that would remain open under option A are in the following list. An asterix means that they would still have to have surface works completed to ensure they meet the required standard. My reading is that option A is a weakening of the position that we advocated for. We said close everything except those demonstrably safe then have a stocktake and work on a process to then allow for safe tracks to open. But the list of tracks being left open, including Kitekite Falls Track, suggests that the reach is much wider than we would have preferred. I was happy with service roads and coastal tracks without Kauri being left open. I don’t want to see everything closed. But I think more work needs to go into the list of tracks that are to be left open or reopened. These are my personal views only at this stage. The local board still is to reach a final position on how we handle Tuesday’s meeting. This issue is a really tough issue and I suspect that for as long as I remain in politics, however long that is, this will continue to be one of the most important issues requiring my attention. But the King of Te Wao Nui a Tiriwa is threatened and all elected members owe it to do what we can to preserve it. Shame on you Auckland Council! Stop the fluffing around and close the ranges.